Since more than 30 years we face every day an exceedingly innovating and highly engineered branche. One Stop Solution for us does not only mean to provide the technical equipment, but also to give the important support all around the show from the idea to the realisation of the event. Our equipment is safe according to the safety regulations and standarts of the EU. We work according existing laws and regulations. Our safety is your safety. You need "only" technical equipment? No problem, our rental pool is one of the biggest in Europe. You will find sound, lighting and LED equipment among others from Martin, MA, ETC, Strand,, Green etc., Meyer Sound (Meyer Sound Leopard with Meyer Sound Galileo Galaxy, AKG and Sure, for rigging equipment from Slick Systems, Prolyte, Expotruss und Chainmaster, among others. 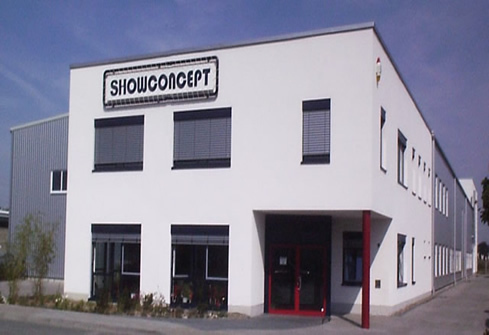 The team of Showconcept is a capable partner for the planning and realisation of touring, event and presentation concepts according to requirements and budgets and develop technical solutions for ideas and projects. Our partners are companies, agencies, producers and creative people.